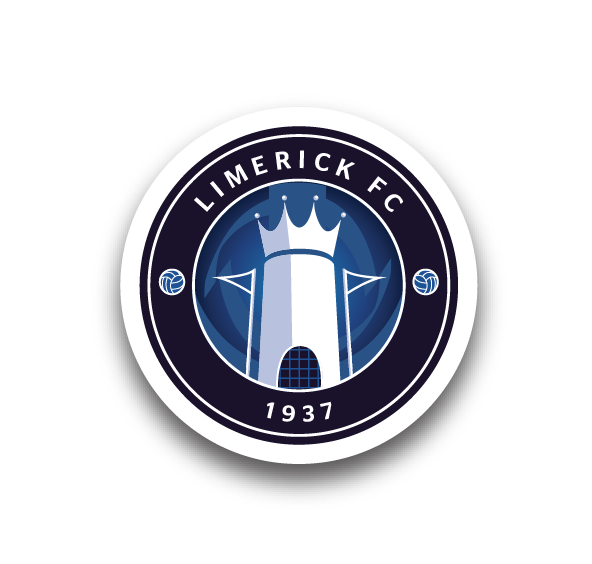 Substitute Sam Grouse’s 88th-minute strike dashed the Republic of Ireland Schools’ Inspiresport Centenary Shield hopes as he earned England a point and ultimately the title as the hosts fought back to draw 2-2 in Oswestry on Friday night, where Limerick FC’s Killian Brouder played the full game. England enjoyed a 100 percent record in their opening three matches and only required a point from this tie to see them victorious. And true to their recent form, it was another late comeback that secured the trophy. 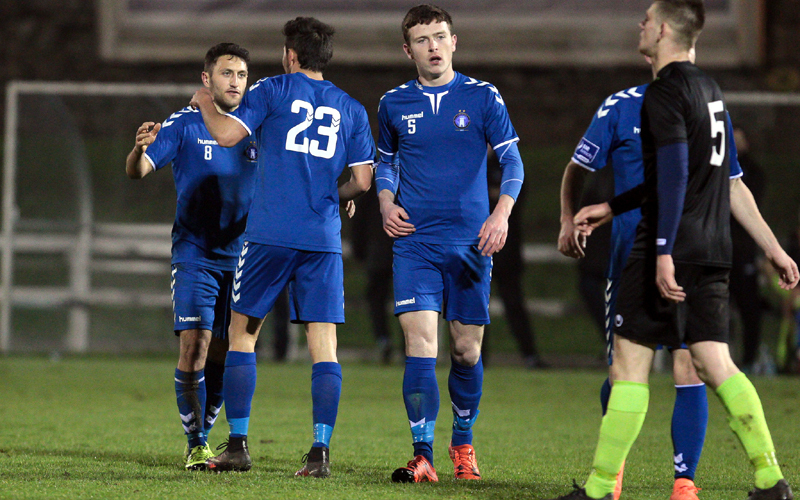 The Republic – who had been held to a scoreless draw by the North in their first and only previous outing – got off to a dream start at Park Hall Stadium, home of The New Saints, when Jamie Aherne broke the deadlock inside three minutes. Shortly after, Aherne threatened again but the ball went wide of the upright. On 23 minutes, England’s Aaron Smith set up Zak Lilly nicely only for his effort to smash off the crossbar. 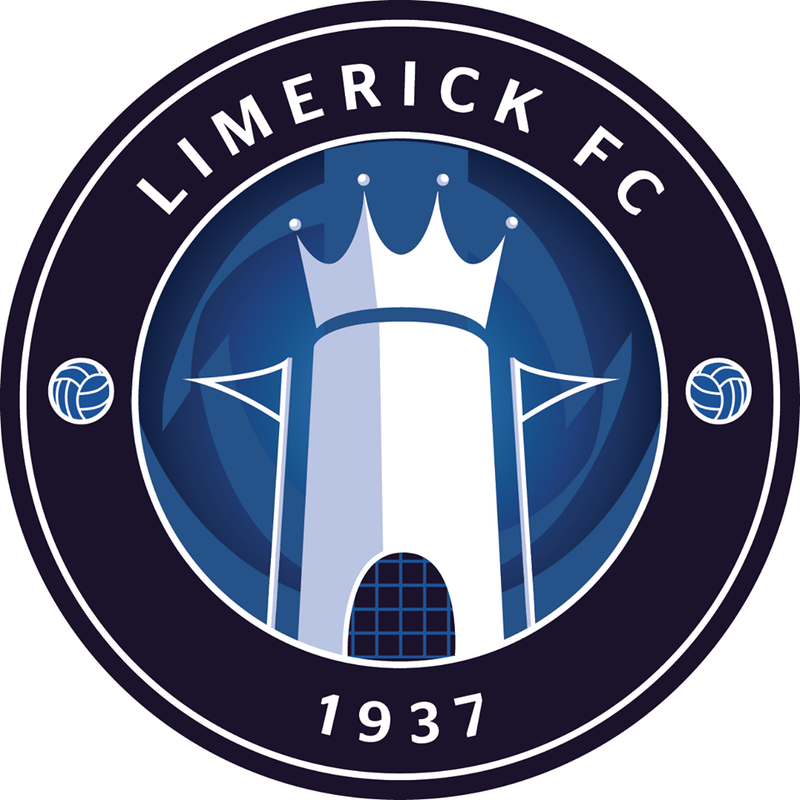 Limerick’s Brouder then went close for Paddy O’Reilly’s side when his glancing header from a corner went agonisingly over. However, the Irish did double their lead just before the interval when Dylan Grimes of Marino College scored. Ireland lost their composure in the second half and the English comeback begun just before the hour-mark when Smith’s screamer from outside the box made it past netminder David Coffey. Both Adrian Delap and Aherne tested home ‘keeper Andrew Wycherley numerous times but the English skipper was razor-sharp between the sticks. Likewise, Lilly and Smith were always a threat up front but Shane Hanney, Ryan O’Donoghue and Conor McCarthy were alert to the danger. But England did force an equaliser two minutes from time and it was Grouse – only on the pitch a matter of moments – that did the damage when he managed to net the ball following a scramble in the box to seal the Shield. The Republic still have two matches remaining in the tournament. On Thursday 14 April, they host Scotland at Celtic Park, home of Killarney Celtic (kick-off 7pm). The Irish complete their campaign with a trip to Wales on Thursday 28 April, with kick-off also 7pm in Llandudno. While Brouder played the full 90 minutes in Oswestry, Blues teammate Jesse Stafford-Lacey was on the bench. The pair are again in the squad for Thursday’s visit of the Scots to Kerry. England: Andrew Wycherley ©, Samuel Orisataka (James O’Halloran HT), Matthew Cook, Joshua Wisson, George O’Malley, Cianan Breen (George Lamb HT), Benjamin Bradshaw, Joseph Thomas (Sam Grouse 86), Aaron Smith, Joshua Shonibare (Adam Grange 75), Zac Lilly (Joe Hartshorne 72). Goals: A Smith (56), S Grouse (88). Unused Subs: Ursene Mouanda, Dan Lawrence, Sam Woodward. 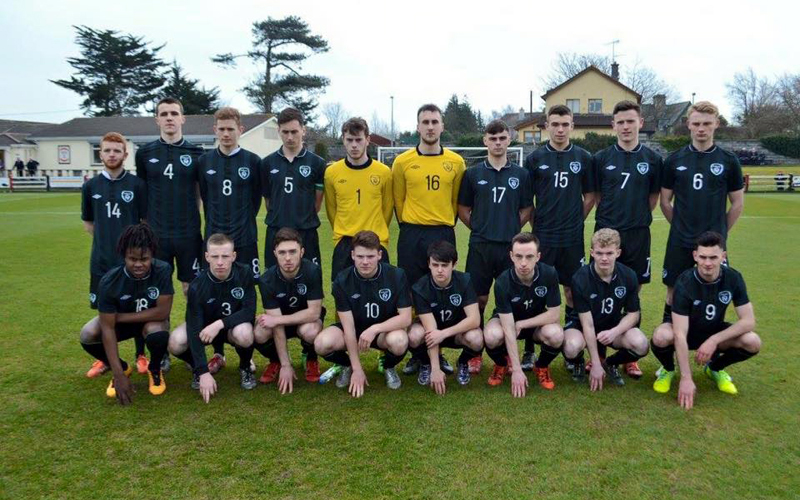 Republic of Ireland: David Coffey, Shane Hanney, Ryan O’Donoghue (Gareth Doherty 90), Conor McCarthy, Liam Scales, Killian Brouder, Conor Kane, Eoghan Morgan © (BJ Banda 90), Dylan Grimes (Adrian Delap 64), Aaron Drinan, Jamie Aherne. Goals: J Aherne (3), D Grimes (41). Unused Subs: Eric Donnelly (GK), Darragh Gibbons, Jesse Stafford-Lacey, Kyle Doherty.